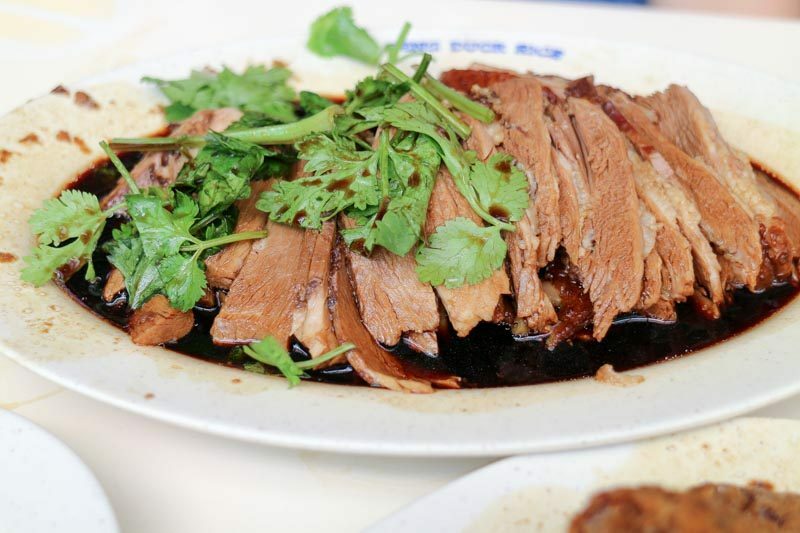 Do you ever just crave a good plate of braised duck rice? So do we! 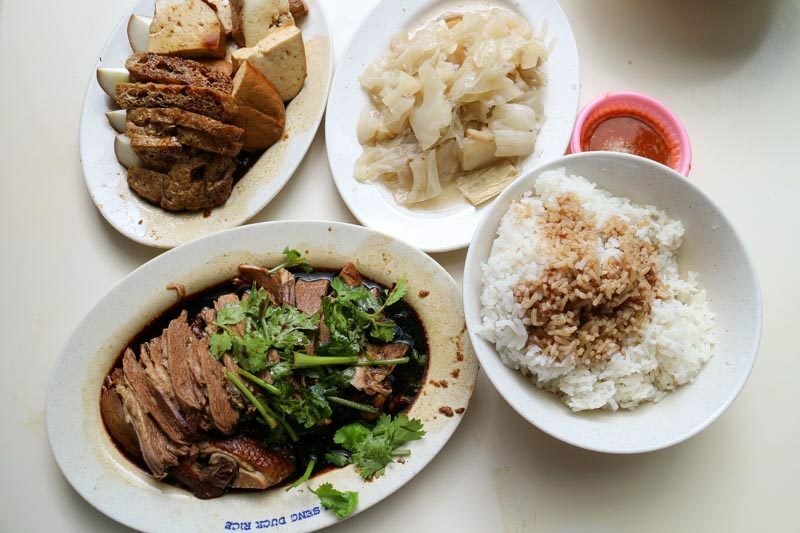 And now we can vouch that Ah Seng Braised Duck Rice that’s been in Serangoon Garden Market since 1994, hits all the right spots. One look and you’ll already be able to tell that it is a fan favourite. We queued for over 15 minutes, even though it was a Wednesday afternoon. 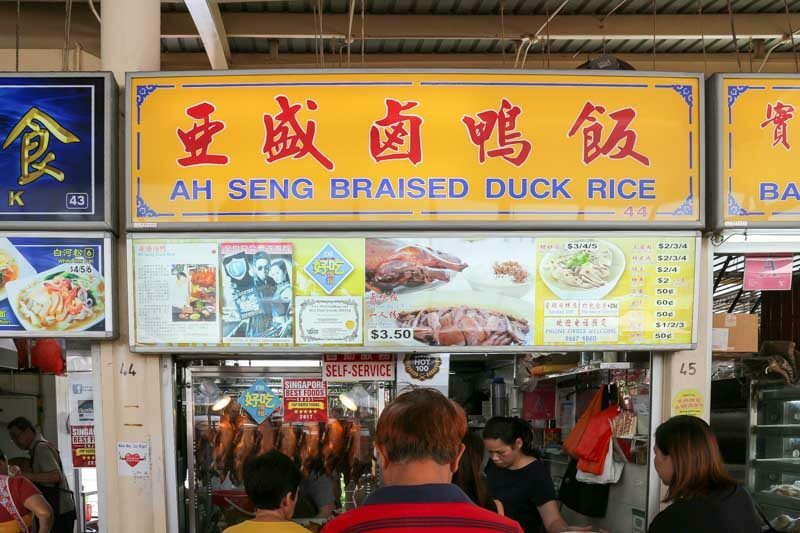 Ah Seng Braised Duck Rice is a family-run hawker stall, with two generations worth of history. 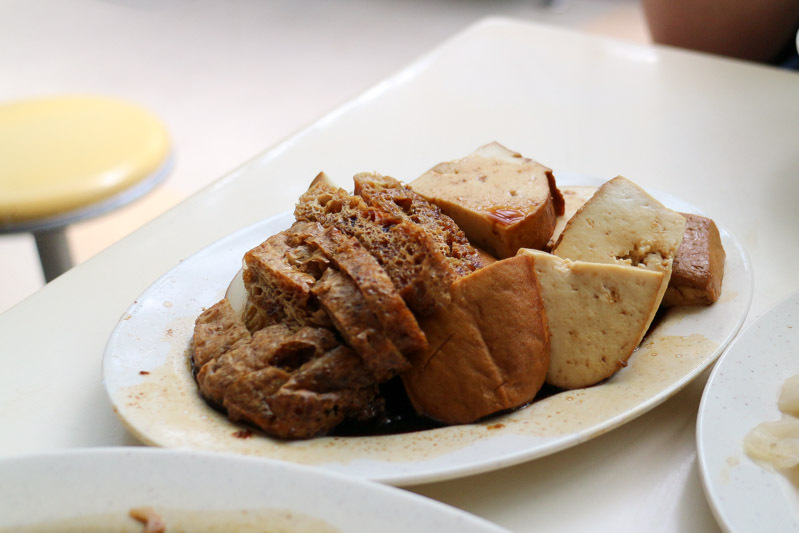 They also have another family-run branch nearer to the Serangoon heartlands, in Serangoon Central. The family recipe is to be revered, and we couldn’t wait to try the famous duck that was drawing such a crowd. The portion of Duck Rice ($3.50) came with an abundance of the braising sauce, which meant that no slice of duck was bland. The accompanying sauce was also quite the blessing to someone like me, who enjoys adding more sauce to the plain white rice. The sauce itself was thin and light, and had a subtle herbal taste which wasn’t too intense, so it would still be enjoyable for people who are sensitive to such flavours. The duck meat was wonderfully succulent and tender, and I was super impressed that such a big portion was given at such an affordable price point. Along with the Duck Rice, you can choose add-on options like Braised Pork Belly ($2), Pig’s Tongue ($2), Pig’s Ear ($2), and a piping hot bowl of Pig’s Stomach Soup ($3). We decided to go for the other sides like the Braised Egg ($0.50), Tau Kwa ($0.60), Tau Pok ($0.50), and Cabbage ($1). The Braised Egg was not overly salty, and was thankfully not overcooked like other braised eggs tend to be. The portion of the Cabbage was substantial for $1, and the dish complemented the duck rice very well. The cabbage was cooked with dried shrimps and vermicelli, and although it tasted a little bland by itself, it paired wonderfully with the already salty duck. When served, the Tau Pok was still crispy, which was a nice change from the soggy Tau Pok soaked in sauce that’s more commonly seen in the hawker scene. It also provided some contrast to the other components of the meal which were on the softer, chewier side. The Tau Kwa was well-seasoned, and even the centre of each piece was flavourful. Every piece was soft and juicy, and delicious when paired with the comparatively drier rice. I also have to talk about the chilli; it was just the right level of spiciness and added oomph to the meal without making me want to reach for a glass of water after every bite. The stall also gives you the option of adjusting the amount of garlic that goes into your chilli, so fans of very strong garlic flavours would be able to eat to their heart’s desire. Queues during the weekend may get a little crazy, so we do recommend finding time to visit on a weekday. 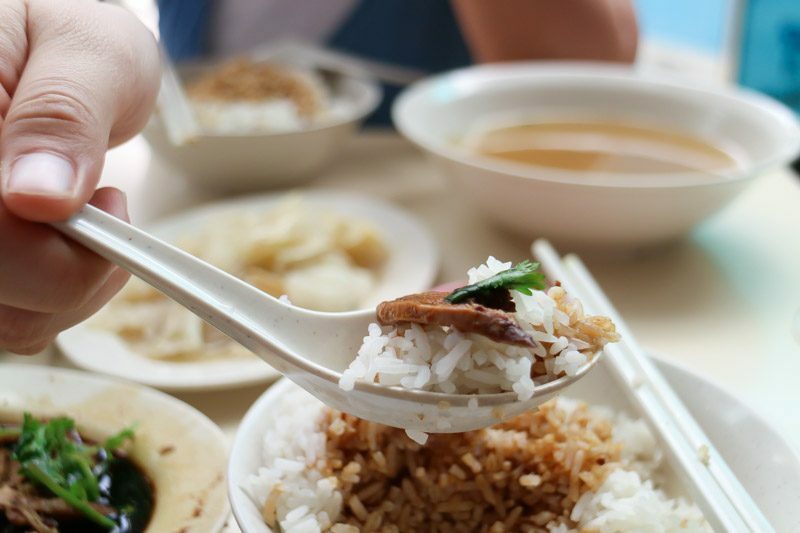 Serangoon Gardens Market may be out of the way for some, but Ah Seng Braised Duck Rice is definitely a reason to make the trip. As far as a good plate of duck rice goes, this is one of the better ones that we’ve tried in Singapore, and we’re loving the affordability and quality. The only thing left to do is to try it for yourself!